I’m an enthusiastic photographer specialised in food and wedding photography. Born by the coast in the south of Italy, I grew up dreaming about being an artist. During my master in Art, I started working as a photographer in Perugia (Italy), where I got into the world of portraits and brides. I decided to permanently move to Copenhagen in 2012, when - during a summer internship - I hopelessly fell in love with the city. Then winter came, and I still haven’t got used to it. My love for food made it easy to break into food photography as well, working for clients like Trip Advisor and Wolt. I’m a hunter for natural light and candid moments, as my main goal is to create spontaneous and intimate images that will make you feel something. I’m a team member of The Copenhagen Photographers. For further information, do not hesitate to contact me. You can also find me on MyWed. We had Martina photograph our wedding and it was a pleasure. She is fun to be around, she is honest and she takes great photos. From the moment we met her to the finished pictures has been a great experience. We had a great time with you during our special day. The photos are lovely, we loved them! Thank you, Martina, for making our day special! You treated our worries and questions with understanding and care. We always felt support from your side as well as professionalism. At the day of our wedding it has been raining cats and dogs but we still have had the most wonderful experience. You managed to grasp our true selves and created magic memories we enjoy to return to. First of all: Very well taken photos. On top of that a very friendly and service minded person to work with. Martina is down to earth, a flexible and friendly person who makes you feel comfortable and very pretty which also shines through the pictures. And most importantly: she is a superb photographer. We hired Martina for our wedding in September 2017, and we were super happy and excited about Martina's work. She really went the extra mile and captured so many beautiful moments from our wedding. The pictures we're absolutely beautiful and she made sure that we got all the pictures that we had asked for. Martina is really professional and we would definitely hire her again. Very responsible, punctual and friendly. Made my day really happy! We had a GREAT experience with Martina pre during and after our wedding - it has been a pleasure having her as our photographer! Thanks for making our perfect day even more perfect. You made us feel like the two most important persons in the world, and your professionalism made us feel in safe hands from the beginning to the end. 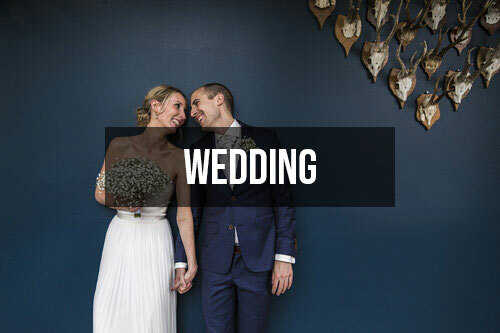 We had a SUPER experience with Martina as photographer at our wedding. She documented our day just like we wanted it, without us noticing very much. We are so happy with the beautiful pictures and can only give our big recommendation. Here below you can see the different kind of photography that I do. © MarLanPh - All rights reserved.